Synopsis: It is just days before Christmas and reindeer are found running loose through the streets of London. Meanwhile an astonished 9 year-old Tom discovers Santa in the garden shed. He has crash landed while test driving his new sleigh and enlists Tom and his father Steve to help him get back to Lapland. But what happens when Santa is arrested and thrown into prison? Will Steve and Tom be able to break him out in time for Christmas? Steve (Rafe Spall) has just got out of jail – he was a getaway driver and has served his time – and is anxious to see his son, Tom (Kit Connor) who now lives with his ex-wife who has now remarried. But soon they have to team up to save Christmas after Tom discovers Santa Claus (Jim Broadbent) sleeping in the garden shed after crashing his sleigh and going on the run from the police. This is a warm hearted and off-beat seasonal comedy from writer/director Christopher Smith (Creep 2004, Severance 2006 Triangle 2009) packed with good ensemble work from popular UK character actors. Jim Broadbent excels as the dotty St Nicholas who ends up in prison because he sticks to his sleigh crashing and Rudolf-losing story. 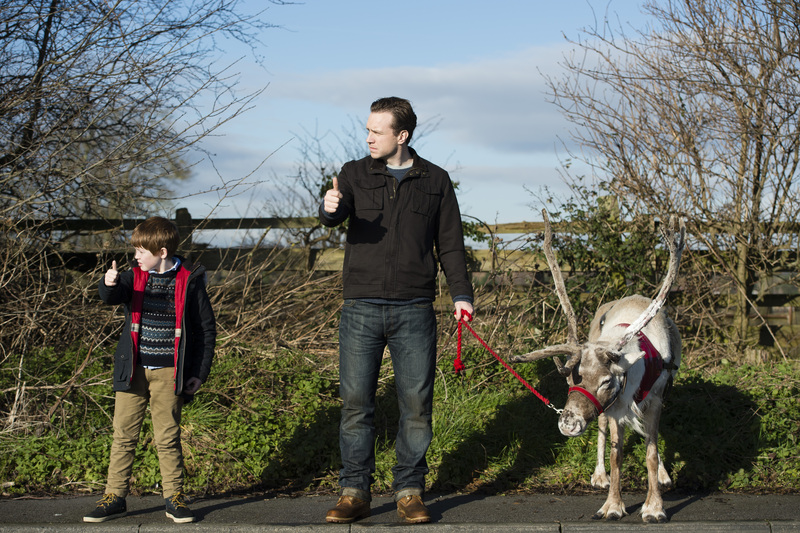 Since Tom is the only person who believes Santa, Steve humours him and they end up on a mad chase around London two days before Christmas – putting Steve in the bad books with his parole officer, Ruth (Joanna Scanlan). 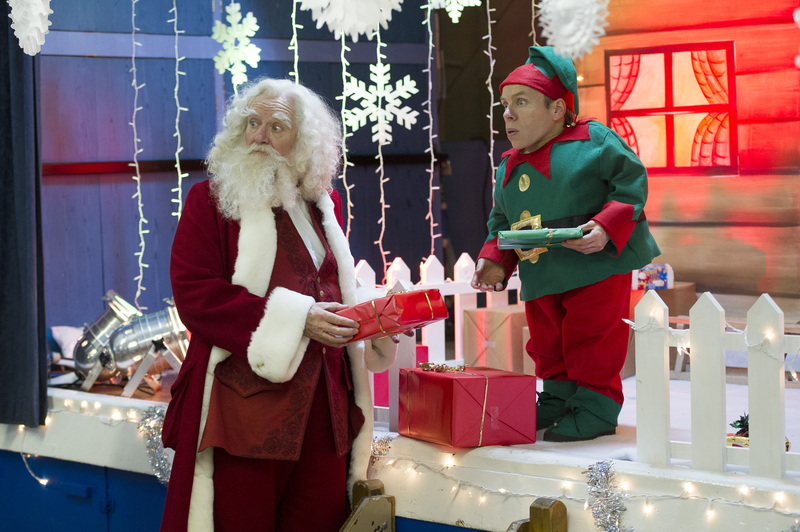 With Santa in Lambeth jail it takes Steve’s inside connections –played by Stephen Graham, Warwick Davis and Nonzo Anozie with the rest of the inmates to spring Santa and save the annual round the world present drop voyage. A very funny 90 minutes with laughs for parents and children, and another excellent turn from Jim Broadbent, ably back by a talented ensemble.